In Store & Online: Pinata's, bagged candies, invitations, custom banners, ballons, and more. - Party City Store Locations. Print this coupon and get a 20% discount on your entire purchase over $40, valid at party city stores. Coupon must be printed or shown at the time of purchase. In Store: I always regret not buying them when I need them, now would be a good time to buy and stock up for future special occasions, also includes napkins and table covers. Print coupon or show on mobile device to redeem at Party City stores. Print or show coupon on mobile device, spend over $60 and get 20% off storewide. Online: Enter Part City coupon code: PCBPZ at checkout and get 20% off orders over $45. Get 20% off on all Christmas items, includes santa suits, Christmas headware, accessories and more. Get up to 25% off purchases over $100. Today Only, get a 25% discount on your entire purchase storewide. Spend $5 or more at party city and get 30 pieces of candy for free. 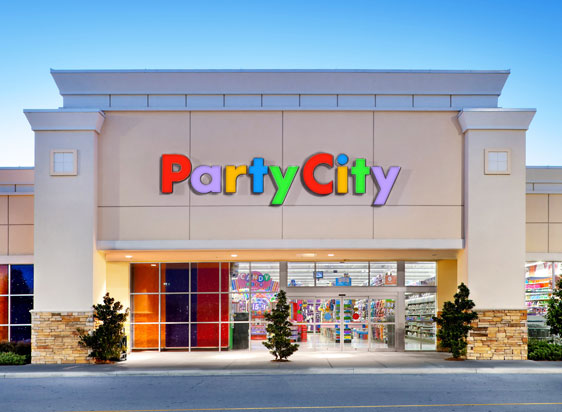 Party city is one of the largest party supply store retailers in the USA with over 250 franchise locations. Great place to buy candles, party hats, gift wraps and all party accessories.